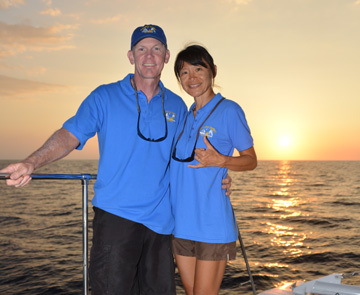 PARADISE SAILING HAWAII is a local small business, family owned and operated by captains Eric and Yumi Wakely. After 20 years of running boats for other charter businesses in Hawaii, we have launched our own company. 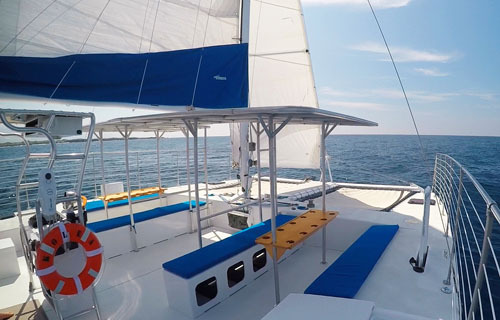 Our mission is to provide a SAILING oriented charter opportunity on a comfortable size, fast, modern catamaran with plenty of space for our guests to stretch out and relax. Our Kurt Hughes 36, Kōlea, has plenty of shade, nice clean toilet facilities, ample seating and tables with drink holders. We don’t care for being herded onto a big “cattle-maran” any more than our guests do. We specifically chose our 36′ x 24′ Kurt Hughes designed cat because she is the perfect size boat for a small to medium size group of up to 24 passengers max. 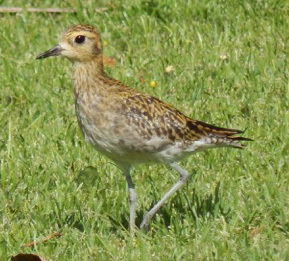 Our boat, KŌLEA, is named after the Hawaiian word for the Pacific Golden Plover, a migratory bird that travels between Hawaii and Alaska every year. It is said that the Kolea helped guide the first Polynesians to discover the Hawaiian Islands in ancient times. 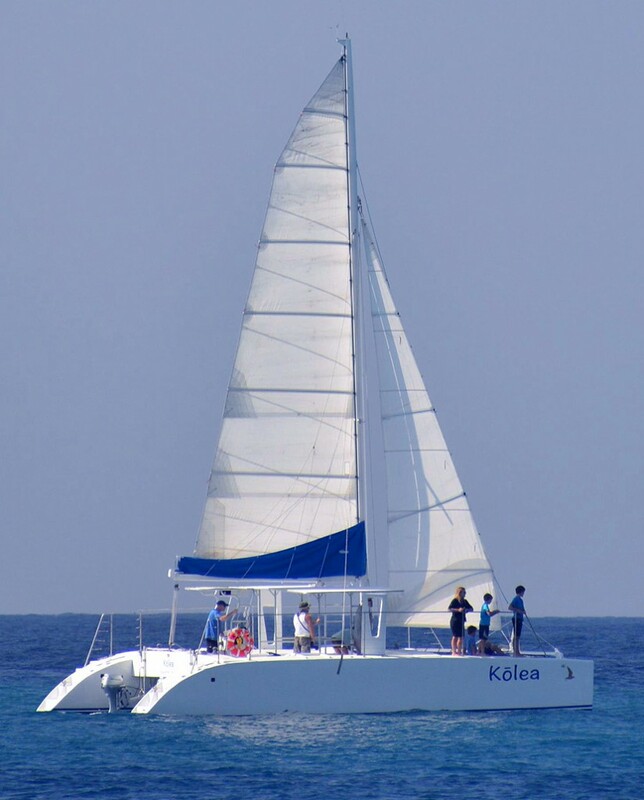 Our 36′ Kurt Hughes designed sailing catamaran, Kōlea, is one of the newest vessels on the big island. USCG certified to carry up to 24 passengers, her modern design and light weight provide excellent stability, comfort and sailing performance. The comfortable open layout of this purpose built charter catamaran means plenty of deck space for guests and easy access to all parts of the boat. KOLEA sails exceptionally well in the light wind that Kona is known for. With her deep dagger boards and slender hulls, she can sail as close to the wind as any mono-hull sailboat, but faster and more comfortably. Having a wide beam of 24′ and ample wing-deck clearance, she cuts through choppy water and provides a smooth comfortable ride without the “pounding” and “hobby horse” characteristics that older catamaran designs are know to exhibit. 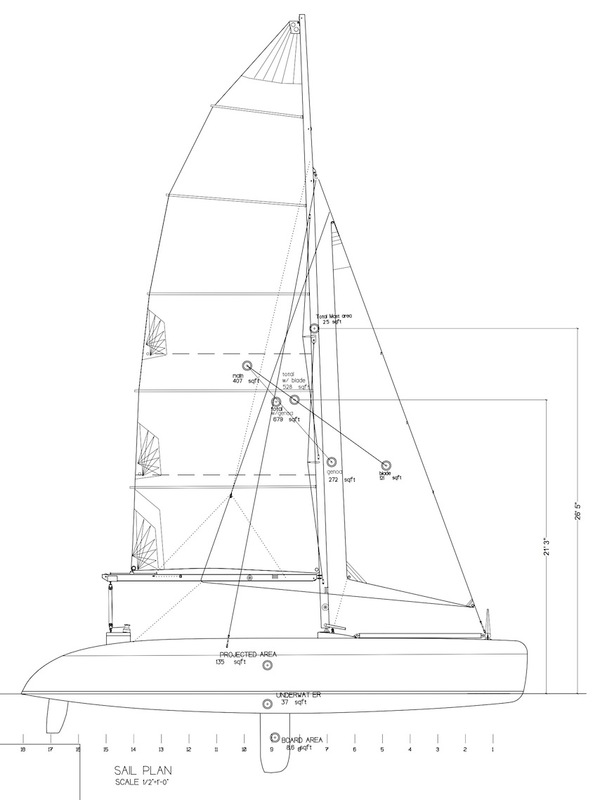 Kolea has a modern fractional rig with a rotating mast, high roach full batten main and a self tacking jib on a “Camber Spar”. She is very easy to sail and guests are welcome to take the helm and experience this for themselves. During a major refit in 2015, we did everything we could to make Kolea one of the most comfortable charter boats on the Big Island. Copyright © 2019 Paradise Sailing Hawaii. Theme: Himalayas by ThemeGrill. Powered by WordPress.